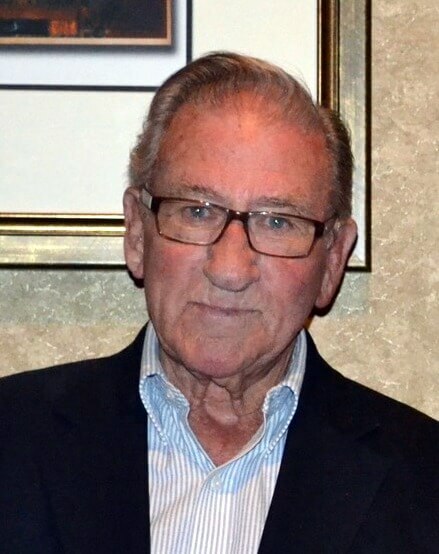 Robert Lee “Bob” Partin, another of the Greatest Generation, passed away on Friday, April 12, 2019. He was 92 years young and predeceased by his parents, sister Ruth Bescher; and brother Alfred Partin. Bob is survived by his loving wife, Joyce Sears Partin, “the most devoted children you could wish for”, son Lee Partin; and daughter Sheran Partin Goodman, who he supported in everything they did. He is also survived by his special daughter-in-law, Susan Carley Partin, five grandchildren of whom he was so proud, Carley Thornton, Tracey Austin, Ryan Thompson, Rob Partin, and Brian Partin; and seven precious great-grandchildren. Bob is also survived by his sister-in-law, Jane Partin. Bob served in the U.S. Navy during World War II and was recalled during the Korean War. Most of his business career was in the food industry. He represented and traveled for several national food corporations in sales and sales management and was co-owner of a food brokerage company. Bob was a long-time member of Ridge Baptist Church. He loved the simple things in life. Bob enjoyed nature, feeding and watching his birds each day, sitting in the sun on his deck, walking on the beach, and an evening martini. He and Joyce loved to entertain family and friends and he was a perfect host. We will gather to celebrate Bob’s life at 4 p.m. on Monday, April 15 at Affinity Funeral Services, 2720 Enterprise Parkway, Richmond, VA 23294. The family will receive friends one hour prior to the service at the funeral home. Memorial gifts may be made to Ridge Baptist Church, 1515 Eastridge Road, Richmond, VA 23229, The Doorways (formerly Hospital Hospitality House) or the American Cancer Society. My heart is aching for the entire family. It was an honor and privilege to know him. Bob will be sorely missed by so many! I hope you will remember that we worked together at Signet Bank during the 80’s when you served as my department administrative assistant. God touched me in a special way today. When I woke up, your name popped into my head for some reason. I know we haven’t had any contact for years so I was puzzled. Later, I saw Bob’s obituary and then I knew why your name had surfaced. I am sorry for your loss but give thanks for the many years you and Bob shared. And we can take heart from the fact that for Christians, earthly death is just a temporary separation from an eternity together with our Lord. May His peace that passes all understanding be a comfort to you and your family.